From modest beginnings in 1943 as a small wartime medical college, The Dallas institution today known as The University of Texas Southwestern Medical Center has grown both in size and stature over the past 70 years to become one of America’s premier medical training, research, and treatment facilities. Today UT Southwestern is a multifaceted academic institution nationally recognized for its excellence in educating physicians, biomedical scientists, and health-care personnel. In 2010 it was ranked Number 20 in the nation in both the research and primary care categories by U.S. News & World Report in its 2010 listing of top medical schools making it one of only nine medical schools in the country to receive a top 20 ranking in both categories — and the only one in the Southwest. Currently, UT Southwestern is ranked 22nd in Research and 31st in Primary Care according to the 2014 U.S. News and World Report Medical School rankings. The school claims that few medical schools nationally, and none in the Southwest, can match the overall educational excellence UT Southwestern offers in its classrooms, laboratories, clinics, and hospitals, as one of the top ten largest medical schools in the United States, notwithstanding that it is also one of the five least-expensive public medical schools. Tuition is just over $15,000 annually for in-state residents, subsidized by the state, which mandates that 90 percent of UTSW medical students are to be from Texas in order to assure the state a consistent source of high-quality physicians. UT Southwestern graduates reportedly have amongst the lowest amounts of student loan debt at the time of matriculation. Situated on a 231-acre (0.93 km2) campus in Dallas, UT Southwestern incorporates the UT Southwestern Medical School, UT Southwestern Graduate School of Biomedical Sciences, UT Southwestern School of Health Professions, and four affiliated hospitals: Parkland Memorial Hospital, The Children’s Medical Center Dallas, Zale Lip shy University Hospital, and St. Paul University Hospital. UT Southwestern also has programs with affiliated hospitals at several sites in Dallas, Richardson, Fort Worth, Waco, Austin, and Wichita Falls. UT Southwestern’s faculty of more than 2,700 includes five Nobel Laureates, four of whom are active faculty members. There are also 20 members of the National Academy of Sciences and 18 members of the Institute of Medicine, a component of the NAS. In 1986, the Howard Hughes Medical Institute (HHMI) opened a molecular biology research facility on campus, bringing to UT Southwestern distinguished research scientists to head laboratories in their specialties, and who also hold faculty positions with the school, including 12 Howard Hughes Medical Institute investigators and one early career scientist on campus. 1985 Nobel Prize in Physiology or Medicine – Michael Brown, M.D., and Joseph Goldstein, M.D. Drs. Michael Brown M.D. and Joseph Goldstein M.D. who also personify the team dynamic at the heart of UT Southwestern Medical Center’s approach to research. Drs. 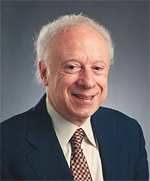 Brown and Goldstein shared the 1985 Nobel Prize for their discovery of the underlying mechanisms of cholesterol metabolism, their findings leading to the development of statin drugs — cholesterol-lowering compounds that are today used by 16 million Americans, and are the most widely prescribed medications in the United States. New federal cholesterol guidelines will triple the number of Americans taking statin drugs to lower their cholesterol, reducing the risk of heart disease and stroke for countless people. 1988 Nobel Prize in Chemistry – Johann Deisenhofer, Ph.D.
Dr. Johann Deisenhofer’sNobel-winning research used X-ray crystallography to elucidate for the first time the three-dimensional structure of a large membrane-bound protein molecule. This structure helped explain the process of photosynthesis, by which sunlight is converted to chemical energy. The Royal Swedish Academy of Sciences, which awards the Nobel Prize, describes photosynthesis as the most important chemical reaction on earth. Dr. Deisenhofer’s ongoing work at UT Southwestern’s Deisenhofer Lab continues to help advance medical science at the molecular level, by determining the structures of proteins involved in disease. 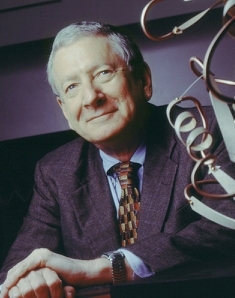 1994 Nobel Prize in Physiology or Medicine – Alfred Gilman, M.D., Ph.D.
Dr. Alfred Gilman’s Nobel-winning studies on “G proteins” discovered a major language that cells use to communicate, that is, how cells receive and respond to external stimuli, thus controlling the most fundamental processes in the human body. Like all of his fellow Nobel laureates at UT Southwestern, Dr. Gilman was less than 40 years old when he did the work for which he won the Nobel Prize. The former dean, executive vice president for academic affairs, provost, and dean of UT Southwestern Medical School continues to serve UT Southwestern as Regental Professor of Pharmacology. 2011 Nobel Prize in Physiology or Medicine – Bruce A. Beutler, M.D. 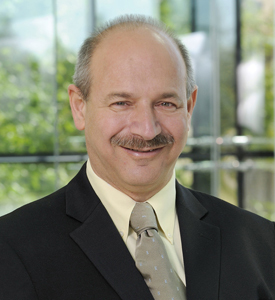 Dr. Bruce Beutler, director of the Center for the Genetics of Host Defense at UT Southwestern, shared the 2011 Nobel Prize in Physiology or Medicine with two other scientists for their immune system investigations. Dr. Beutler was honored for the discovery of receptor proteins that recognize disease-causing agents and activate innate immunity, the first step in the body’s immune response. The discovery triggered an explosion of research in innate immunity, opening up new avenues for the development of prevention and therapy against infections, cancer, and inflammatory diseases. About 3500 projects are typically being conducted at UT Southwestern, funded by support from federal agencies, foundations, individuals, and corporations, and the school’s research expenditures have grown from $46.7 million in 1985 to $417 million in 2011. UT Southwestern’s physicians and residents representing 40 specialties also annually provide care to more than 100,000 hospitalized patients and oversee nearly 2 million outpatient visits, and provide $427 million in unreimbursed professional services annually. UT Southwestern medical students manage The Monday Clinic, a free weekly clinic in North Dallas, under the supervision of Dallas-area physicians. UTSW students volunteer at the Agape Clinic, a free weekly dermatology clinic in Dallas, and Camp Sweeney, a summer camp in North Texas for children with diabetes. UT Southwestern’s genesis traces back to 1939 when a group of prominent Dallas citizens spearheaded by the late Dr. Edward H. Cary and Karl Hoblitzelle, organized Southwestern Medical Foundation to promote medical education and research in Dallas and the region. That initiative gathered momentum when Baylor University decided to move its medical school of medicine from Dallas to Houston in 1943, with the foundation formally establishing Southwestern Medical College as the 68th medical school in the United States. After World War II ended, a new state medical school was proposed, and the Southwestern Medical Foundation offered the college’s equipment, library, along with certain restricted funds, to The University of Texas, on condition that the University locate its new medical branch in Dallas. The UT Board of Regents accepted the terms, and in 1949 the college became Southwestern Medical School of The University of Texas. Another name change came in 1954 to The University of Texas Southwestern Medical School, which moved to the present campus site on Harry Hines Boulevard, a 10-minute drive northwest of downtown Dallas, in 1955, upon completion of the Edward H. Cary Building, locating the medical school next to the then newly built Parkland Memorial Hospital. Since the late 1960s the facility has grown to include 10.8 million square feet of space with another 1.4 million square feet under construction. In 1987 the John D. and Catherine T. MacArthur Foundation gave the university 30 acres (120,000 m2) near the South Campus for future expansion. A 20-year master plan for the site, called North Campus, called for six research towers, a support-services building, an energy plant, and underground parking, in addition to the Mary Nell and Ralph B. Rogers Magnetic Resonance Center and the Moncrief Radiation Oncology Center. Three research towers and an elevated campus connector, linking the South Campus with the North Campus, were completed in the 1990s. A fourth 14-story research tower, was completed in 2005. In 1999, the university purchased an additional 50 acres (200,000 m2) from the MacArthur Foundation and a portion of the property was used to create an on-campus student-housing complex of 156 apartments. A second phase of 126 units opened in the summer of 2004. Since its initial affiliation with UT Southwestern in 1999, the Moncrief Radiation Oncology Cancer Center has expanded its reach with more facilities located in Dallas, Fort Worth, southern Tarrant County, and Weatherford, Texas. The 60-acre (240,000 m2) South Campus includes sixteen buildings housing classrooms, laboratories, offices, the extensive University of Texas Southwestern Medical Center Library, an auditorium and a large outpatient center, and UT Southwestern has budgeted almost $1.13 billion for construction through 2014. In November 1972 the institution’s name was changed again to “The University of Texas Health Science Center at Dallas,” in accord with UT Southwestern’s having expanded its scope to become a health science center, and its reorganization into three components: medical school, graduate school and health professions school, to better coordinate continued growth of its medical, graduate, and undergraduate components. The UT Southwestern Graduate School of Biomedical Sciences was also established in 1972, and has since awarded about 2,700 degrees. It offers 11 doctoral programs, including biological chemistry, cancer biology, cell regulation, genetics and development, immunology, integrative biology, molecular biophysics, molecular microbiology, and neuroscience in the basic sciences, and doctorates in clinical psychology and biomedical engineering, which is a joint program with UT Arlington and UT Dallas. Additionally, a master’s degree is offered in clinical science, an the graduate school also offers non-degree educational programs including the Summer Undergraduate Research Fellowship, Quantitative and Physical Sciences Summer Undergraduate Research Fellowship, UT Dallas Green Fellows, Undergraduate Medical Research Fellows, and the Science Teachers Access to Research at UT Southwestern. The graduate school has 20 core facilities available for research on the UT Southwestern campus, with state-of-the-art equipment and providing the support services necessary to help scientists effectively and efficiently conduct research. In October 1987, the UT System Board of Regents approved changing the health science center’s name to The University of Texas Southwestern Medical Center at Dallas, reconfirming the institution’s original southwestern Identity. In October 2009 the UT System Board of Regents and the Board of Trustees of the Seton Family of Hospitals approved creation of a new partnership with UT Southwestern for medical education and research. 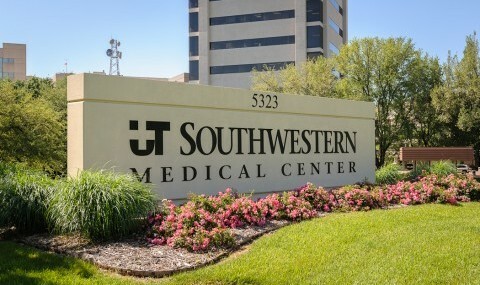 The partnership significantly increased the number of residents (doctors in training) practicing at Seton facilities, and also bolstered medical research projects conducted by the Seton Family of Hospitals, allowing for the expansion of collaborative research efforts with UT Southwestern and The University of Texas at Austin. 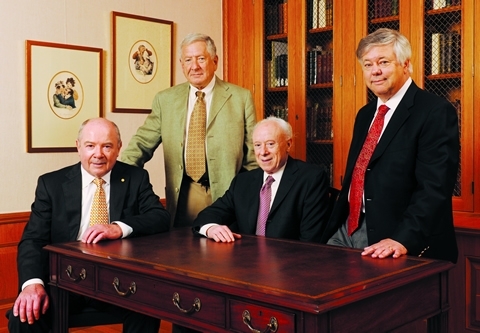 This partnership led to the UT System Board of Regents approval in February 2011 of changing the institution’s name again to The University of Texas Southwestern Medical Center, dropping the “at Dallas,” in order to better reflect the growing breadth of the school, including UT Southwestern’s partnership with the Seton Family of Hospitals. UT Southwestern sees its mission as multi-faceted, encompassing: a) improved health care in the Dallas regional community community, for Texas, America, and the world through innovation and education; b) education of the next generation of leaders in patient care, biomedical science and disease prevention; c) the conduct of high-impact, internationally recognized research;and d) delivery of patient care that brings UT Southwestern’s scientific advances to the bedside — focusing on quality, safety and service. In 2011, UT Southwestern began construction on the new $800 million, 12-story, 424-bed, state-of-the-art William P. Clements Jr. University Hospital. This new facility, projected to open in 2015, is to become an essential component of UT Southwestern’s commitment to become one of the top 10 comprehensive academic medical centers in the nation.